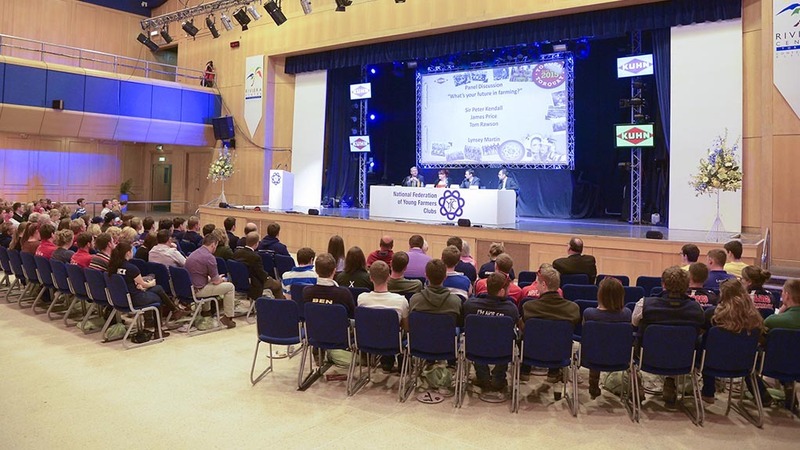 Young farmers have been pushed to raise their voices in Brexit negotiations at the NFYFC 2017 agri-forum. Taking on the challenge at a political break-out session at the NFYFC Annual Convention in Torquay this weekend, 30-year-old Sam Dilcock said he would call on the Government to recognise trust and traceability. The Selby YFC representative said the industry needed people to not only trust what farmers do, but also what they produce. “Ultimately traceability is a major point for UK products,” Mr Dilcock added in the mock-up local hustings. Also high on the young farmer agenda was a need for the Government to consult regulation, animal welfare, start up loans, inheritance tax and the future viability of rural areas. NFU vice president Guy Smith said the industry should start seeing Brexit as an ‘opportunity rather than a threat’ and encouraged young farmers to make their voices heard. Guy Smith: Why is it important for young farmers to be politically engaged? But Charlotte Smith, BBC Farming Today presenter and upcoming president of NFYFC, warned youngsters should be watchful of their language when trying to push industry demands. She said: “If you are going into a situation where a lot of people there are not farmers, be very aware of that. Mrs Smith said the industry should work cleverly by wording their calls with an initial positive statement before making something of demand. “Don’t make it, oh it’s us farmers and we want this,” she added.